Filipinos are undeniably some of the biggest basketball fans in the world! Even FIBA called us as the Most Valuable Fans after the 2014 FIBA World Cup, showing our passion for the sport whether it’s played in arenas or on the streets. This February, Warner TV has a special treat for Filipino basketball fans! For the first time on Philippine TV, the network is bringing you the hit reality contest that has captured the hearts of basketball fans all over the world, The Dunk King! 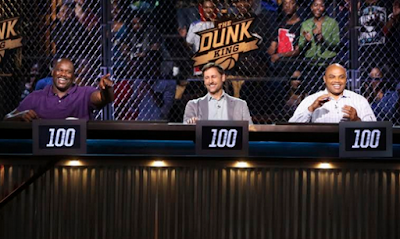 The Dunk King, a TNT Original Series, is a reality competition that offers basketball enthusiasts a once-in-a-lifetime opportunity to show off their creativity and skills when it comes to dunking. It features dunkers from different parts of the world in their quest to become the next dunking celebrity and win USD 100,000 in the process. 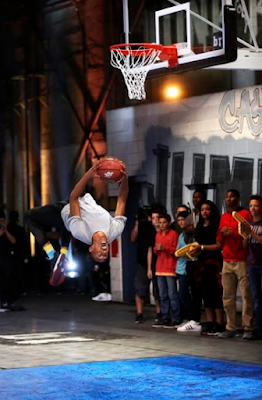 The show is hosted by Terrence J and Kenny Smith with basketball icons as judges including Shaquille O’Neal who’s arguably the best (and biggest) center position of all time, Charles Barkley, NBA’s most dominant power forward during his time, and Brent Barry who played for the San Antonio Spurs and was once named the NBA Slam Dunk Contest Champion. Watch these ballers as they employ various tricks and stunts, take the leap from obscurity, dunk their way to celebrity status, and earn the coveted title of Dunk King! Don’t miss the show’s first-ever premiere on Philippine television on February 1 at 8:10 PM, and catch weekly episodes at same time Thursdays, only on Warner TV. This February, expect high-quality entertainment from Warner TV! Watch your favorite shows by tuning in to Cignal SD Channel 126, Cignal HD Channel 235, SkyCable SD Digital Channel 34, SkyCable HD Channel 197, and Destiny Cable Channel 34. For more things Warner TV, visit the channel’s website at http://www.warnertvasia.com/ and join the conversation on social media on Facebook (https://www.facebook.com/WarnerTVAsia/) and Instagram (https://www.instagram.com/warnerbrostv/). Warner TV offers viewers in Asia the chance to get into it, with an unprecedented mix of hit TV series and blockbuster movies. Its line-up boasts the world’s biggest franchises, first-run exclusives for the region and fan-favorites across a wide range of genres from action, comedy and drama. Warner TV is also home to feature films from the legendary studios of Warner Bros. Entertainment. Warner TV is a brand available across Asia Pacific, and is created and distributed by Turner, a Time Warner company. Visit WarnerTVAsia.com and Facebook.com/WarnerTVAsia for more information.